This hand mic has a built in transmitter and run about 8 hours on 2 AA batteries. 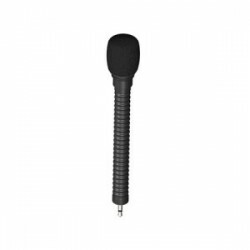 This handheld microphone can plug directly into the Comtek M-216 transmitter. Excellent for directing action, making announcements, etc. 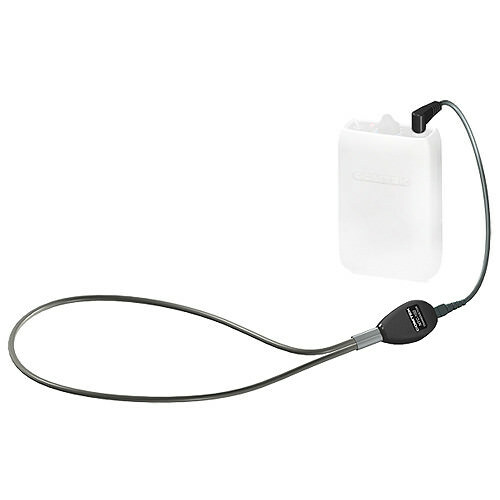 The Comtek lavaliere can plug directly into the Comtek M-216 transmitter for hand-free operation. Excellent for directing action, making announcements, etc. 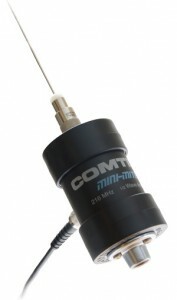 The Comtek Mini-mite antenna will increase the range of the Comtek-216 by approximately 50%. 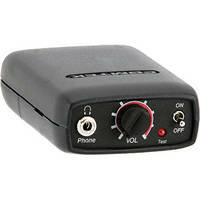 The PR-216 is an ideal receiver companion to the M-216. 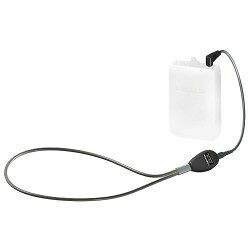 It is small, can be hidden in wardrobe or clipped to belts. 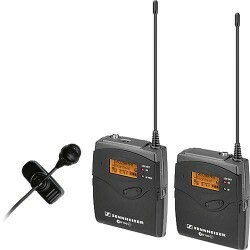 The Comtek M-216 Transmitter and companion PR-216 receiver have become standards in film & television for transmitting audio tracks to Directors, Producers and interested parties on set. 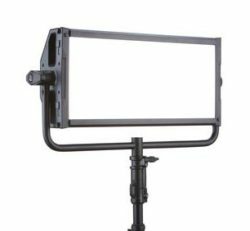 They offer 60 channels of operation and the effective range is approximately 200 feet. 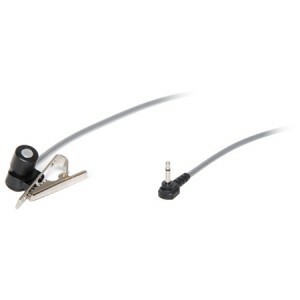 Comteks are ideal for personal monitoring, music videos, cueing actors, track transmission for tours, etc. Signals for the M-216 can originate from professional mixers and recorders, tablets, iPods, smartphones, computers and the Comtek lavalier and handheld microphones. 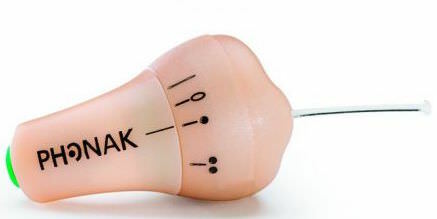 The Comtek system was not designed to be used for the transmission of master tracks. The HM Digital UHF Wireless Plug-On Microphone Transmitter enables you to transmit the signal of any XLR microphone wirelessly. 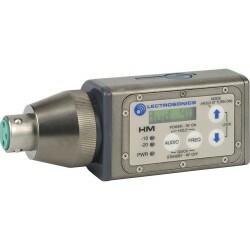 The HM transmitter provides 256 user-selectable UHF frequencies. 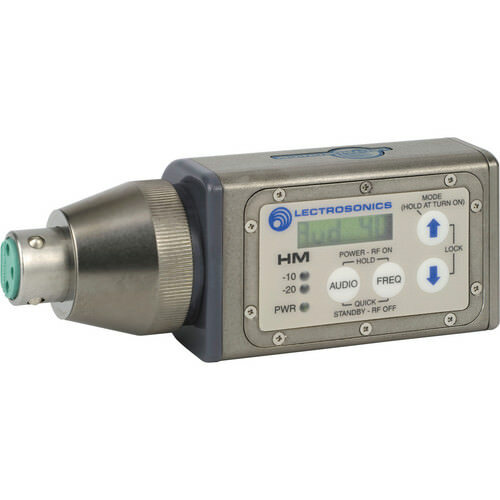 Lectrosonics transmitters are used on the majority of feature films, television shows and documentaries. They have developed a reputation for reliability, rugged build and range. 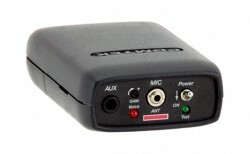 The UCR411A receiver has become ubiquitous on film and television sets. It was the wireless receiver of choice for Breaking Bad. 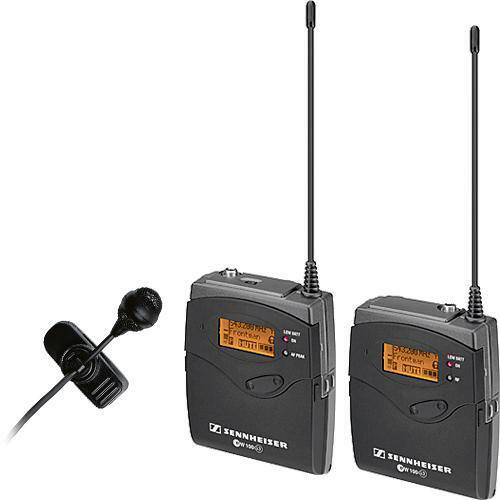 Powered by two 9 volt batteries, the unit is frequency agile allowing choice of 256 frequencies. To alleviate interference problems in an increasingly congested RF spectrum, an RF spectrum analyzer is built into the receiver. 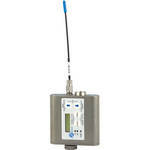 The receiver tunes across its 25.6 MHz tuning range and records RF activity with markers on the LCD screen. 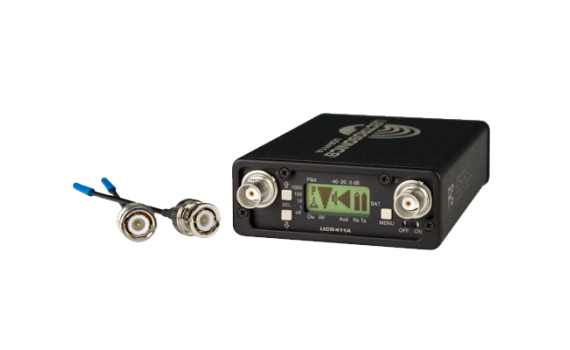 Finding clear operating frequencies is a quick, simple process. 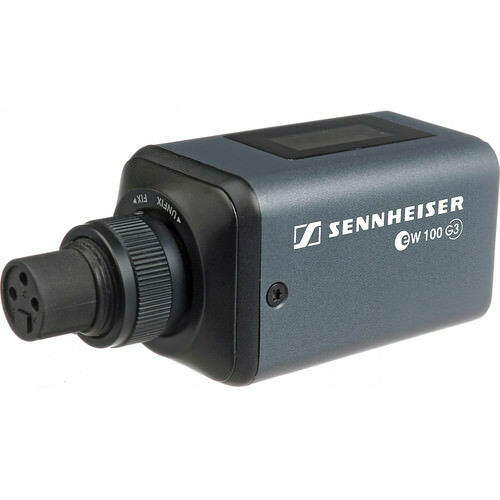 We highly recommend this unit for critical recording situations. 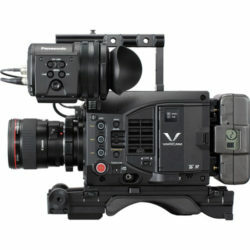 The relativity easy to use G3 is favored by the budget-conscious film or videomaker. 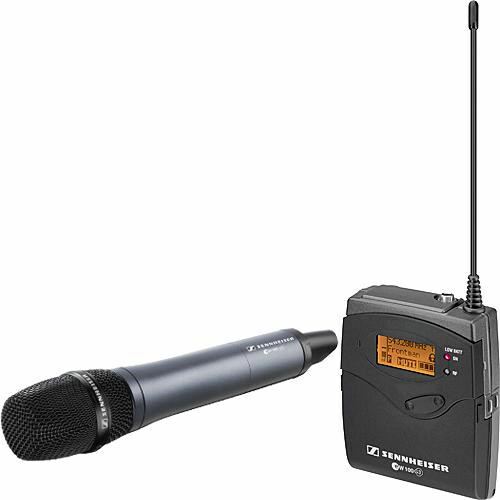 Unlike the Lectrosonics systems, the G3 offers much less range and reduced audio quality.